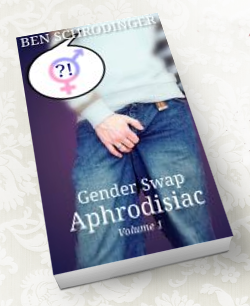 Subscribe for updates from TheGenderSwap.net and new gender swap books from Ben Schrodinger. Plus sign up today and get ‘Gender Swap Aphrodisiac 1‘ absolutely FREE! You will be automatically sent a link to the download after your email address has been confirmed.